Whether your mission is combat, special operations, homeland security, law enforcement, fire/rescue or a workboat environment, your job is too important to cut corners. That's why Brunswick Commercial and Government Products (BCGP) builds superior quality, durable boats specifically designed to help you achieve your objectives. A subsidiary of the Brunswick Corporation, the world’s leading powerboat manufacturer, you can count on BCGP boats to be built to your exacting standards of excellence. 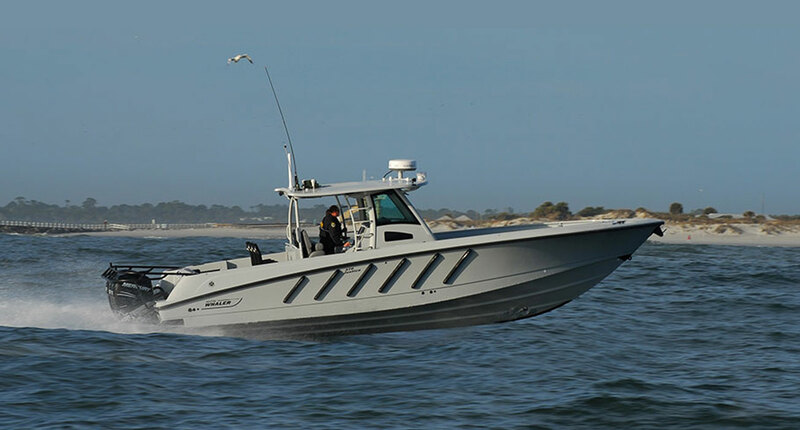 For patrol, rescue, military, research, and workboat applications, BCGP builds a complete fleet of unsinkable commercial-grade Boston Whaler fiberglass models, a comprehensive offering of Impact rigid hull inflatable boats (RHIBs), and durable aluminum Sentry boats designed to help you get the job done and get back home. We built the first commercially-used Boston Whalers in the late 1950’s. 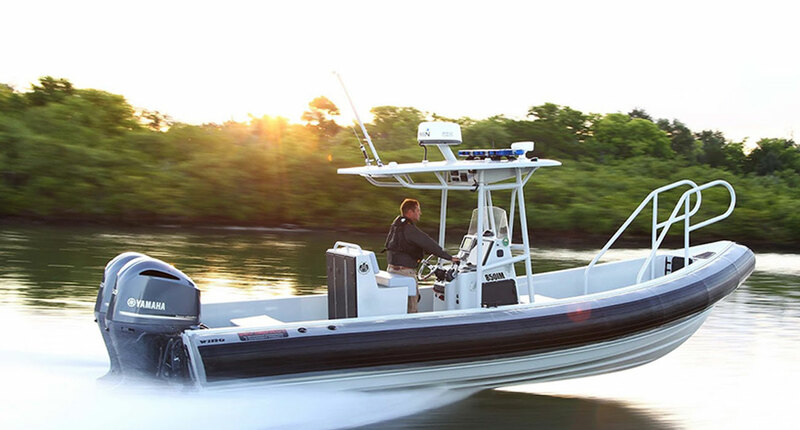 Known then as Boston Whaler Commercial and Government Products, we continued to grow and to expand our market to include agencies across the nation and around the world. Now, as Brunswick Commercial and Government Products (BCGP), we have evolved into an even larger company as part of Brunswick Corporation the largest marine manufacturer in the world. This relationship affords us access to technology and resources about which other companies can only dream. This advantage is instrumental in helping us to achieve our primary mission to produce the best boats specifically designed for commercial and governmental applications. That means fortified laminate schedules, heavy duty hardware, and designs to accommodate working professionals, not weekend warriors. Some recreational boat companies slap a stripe on the side of a runabout and call it a commercial boat. Not us. BCGP builds tough boats for tough jobs. Our boats, like our customers, have earned their stripes in countless rescues, combat missions, and life-threatening circumstances. Granted, it costs more for a boat built to bring you back day after day. But are you willing to pay the price for a boat that won’t? With hundreds of companies out there claiming to build commercial boats, selecting the right manufacturer for your boat can be a difficult decision. Here are a few critical advantages you get when you make the decision to work with Brunswick Commercial and Government Products. BCGP didn’t just leap into commercial and military boat building when the recreational market went south. We have been building commercial and military platforms exclusively for more than 50 years. That experience has taught us the importance of fortified laminate schedules, accurate quotes, delivery deadlines, and after-the-sale service and support. Best of all, we have the financial backing of our parent company – Brunswick – the world’s largest marine manufacturer. This ensures we will not leave you and your project hanging out to dry. You can read about construction specifics in the Construction section but we just wanted to touch on the fact that we have boats in service that are measured in decades, not just years. This is important because very few companies or agencies can afford to replace product year after year. We build our boats to last and we have a proven track record to illustrate our success. One of the greatest advantages to doing business with BCGP is that is it a one-stop shop. 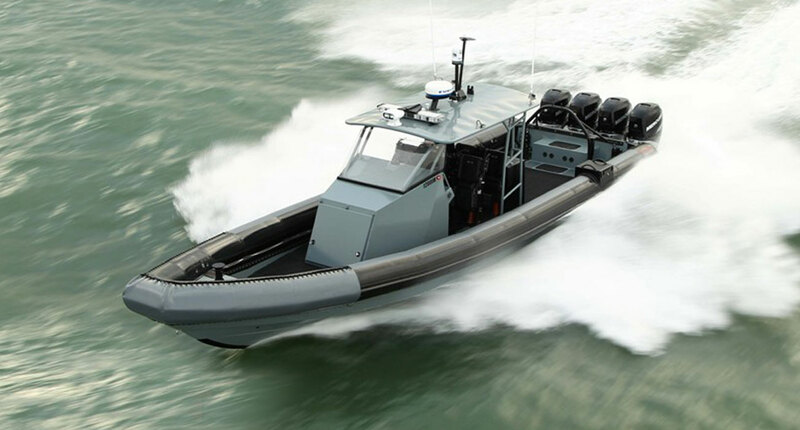 Whether you require a fiberglass platform, aluminum or RHIB, we’ve got you covered. You don’t have to evaluate multiple companies or have multiple contacts. You make one call and talk to one person. Even beyond the platform, you have hundreds of options from which to select, ranging from propulsion to electronics. 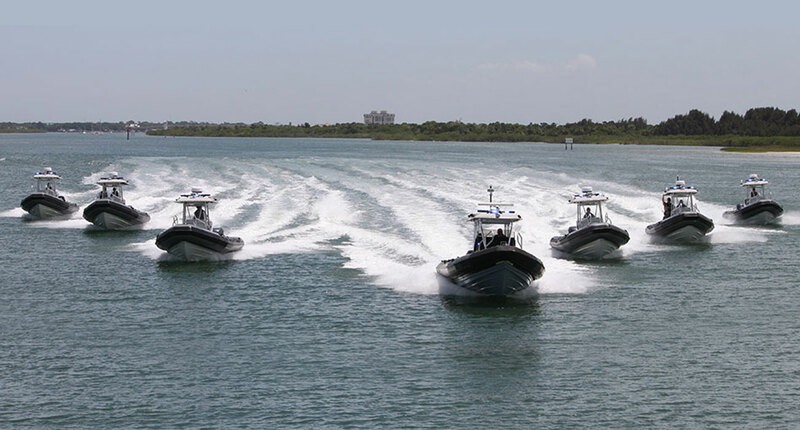 In addition to the skilled craftsmen and women who build our boats, we have experienced law enforcement, fire/rescue, commercial and military personnel on staff to guide our efforts from a user’s perspective. We supplement that knowledge with additional input from customers in the field to ensure our product development and refinement is on target. Building a boat without that kind of input is like developing a car without having a clue how to drive. Depending on the complexity of the boat or fleet you order, you may require training or support in the function and maintenance of systems and options. BCGP has dedicated personnel to ensure you and your team members are trained and comfortable with the operation and performance of everything relative to your boat. Unlike other companies, our relationship does not end when you take delivery.